Support Americans' Second Amendment rights? Hah! 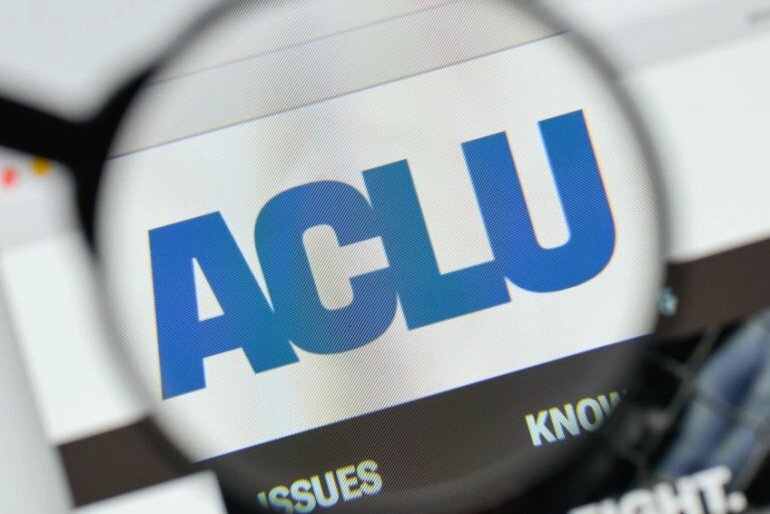 Not the ACLU. Their Deputy Legal Director and Director of Center for Liberty recently wrote this about gun control? Which part of "shall not be infringed" does the ACLU not understand? Is it the "shall not" part or perhaps the "be infringed" part? Even most dim bulb people are bright enough to understand those mostly monosyllabic words. But alas, the great defenders of civil liberties (the ones they agree with, anyway) apparently found a gun control bill they couldn't find a way to support in Illinois' new "social media" check bill. Democrat Daniel Didech, who represents Illinois' 59th legislative district, has introduced Illinois House Bill 0888. We covered this legislative gem last month. Since then, the bill has picked up two co-sponsors. Didech's bill would require the Illinois State Police to pore over a prospective gun owners social media accounts for "any information that would disqualify the person from obtaining or require revocation of a currently valid Firearm Owner’s Identification Card." Exactly what kind of content would disqualify someone is left to the imagination. That's about as broad an opportunity for government oppression as you're likely to see. On the ground here in Illinois, we're told the law would cover not only social media accounts like Facebook, Twitter, and Instagram, but also online forums. Like AR15.com. Or online dating sites, especially those with forums. And then there are other "social media" sites like Adult Friend Finder, Tinder, Grindr, or (gasp!) outright p0rn sites. This is the bridge too far for the ACLU. It's not so much the Second Amendment implications of the Illinois bill that bother them as it is the chilling effects on exercise of the First Amendment. The good folks at the ACLU Illinois clearly don't like the idea of the Illinois State Police searching through anyone's P0rnhub or Swing Lifestyle accounts. Gun rights activists will certainly welcome the ACLU's unexpected help in opposing a grossly unconstitutional proposal to the already unconstitutional Illinois Firearms Owners Identification Act. After all, just imagine a similar investigation carried out before issuing a permit to attend church or own a Bible. Or to vote. The good news: we hear Didech's social media background check bill likely won't make it to the House floor. At the same time, we suspect more states will flirt with similar measures against gun owners (New York already has). Time will tell how long it will take one of these bills to actually become law. We look forward to the ACLU's continued help in opposing them wherever they are proposed. This entry was posted on February 11, 2019 at 3:31 pm and is filed under Blog. You can follow any responses to this entry through the RSS 2.0 feed. I'm afraid to make a comment as the state police and FBI may send seat teams to my house to arrest me and confiscate everything. Should this bill become law, I'm sure it will be weaponized against anyone who speaks out for gun rights. Guaranteed. Thats the idea. Silence those of us who speak out. How do they enforce the provision on the Illinois FOID application that asks the applicant if they use marijuana …..last I heard no one's been required to do a piss test before qualifying for the FOID card……I would imagine there are a hell of a lot more folks who use social media than smoke pot so good luck to the "commie"crats in trying to enforce that one. The anti-gunners focus on the phrase "…a well regulated militia…" to impose their "regulations" (aka:laws), when we all know that at the time of the writing of the Second, a "…well regulated militia…" meant someone that was well-versed in the use, handling, and care of firearms and the "militia" was and is all able-bodied, law-abiding, honorable citizens.